The Toronto Epic on Triangle Park condos is the third and culminating phase of West Queen West’s most popular community, following the recent successes of EDGE and Westside. A grand Toronto condominium saga that is larger than life – EPIC on Triangle Park condos is an architectural creation of iconic stature dominating the trend setting West Queen West Toronto real estate district. A new legend and a new buying opportunity for homebuyers is now here. 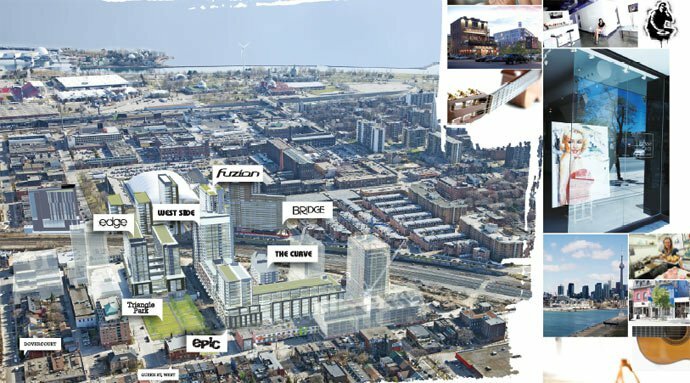 Grand in scale, historic in conception, the West Queen West Toronto Epic on Triangle Park is a legend in the making. Here, the extraordinary transforms the ordinary, breaking old norms and setting new criteria of excellence for downtown Toronto condominium living, at an affordable price. 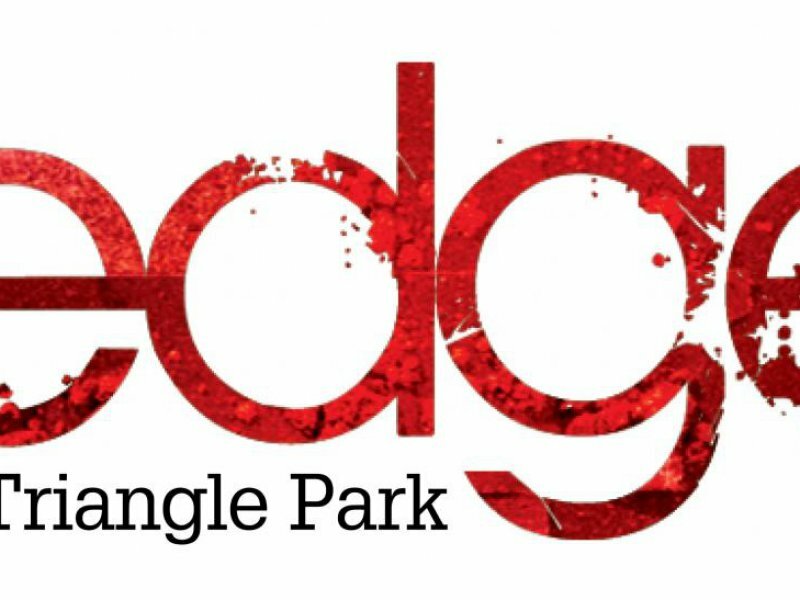 Presented through a joint collaboration between Plazacorp and Urbancorp, the Edge on Triangle Park condos will be located at 48 Abell Street Toronto (crossroads of Queen Street). Here, new Toronto condo buyers will find a fifteen storey mid-rise tower featuring 422 suites for sale in the Queen West Triangle district. The West Queen West Toronto real estate district is a community that has transformed from an industrial past into a new, hip and exciting neighbourhood. 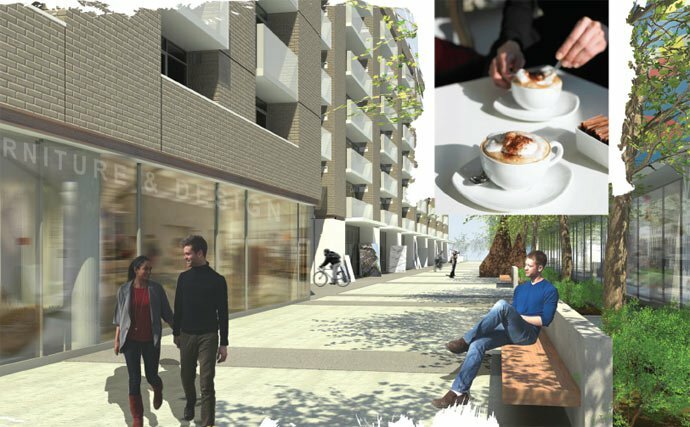 The community itself features exceptional nightlife, great services, amenities, recreational options, stylish bistros and arty boutiques within one of the most eclectic yet intriguing neighbourhoods. It is there that the new Toronto EPIC condos on Triangle Park will create a revolution of expectations; a phenomenon that begins in a neighbourhood that is undeniably hip. The charming district features a close proximity to downtown, via a direct TTC streetcar connection. Not only that, the newly revitalized neighbourhood has become the epicentre of culture and has replaced Queen and Spadina as Toronto’s up and coming grassroots arts community. With the transformation of the Drake Hotel and restaurants like Swan and Bar One, West Queen West has become a destination on its own, and you can be part of this revitalization by purchasing a new Toronto Epic Condo on Triangle Park. 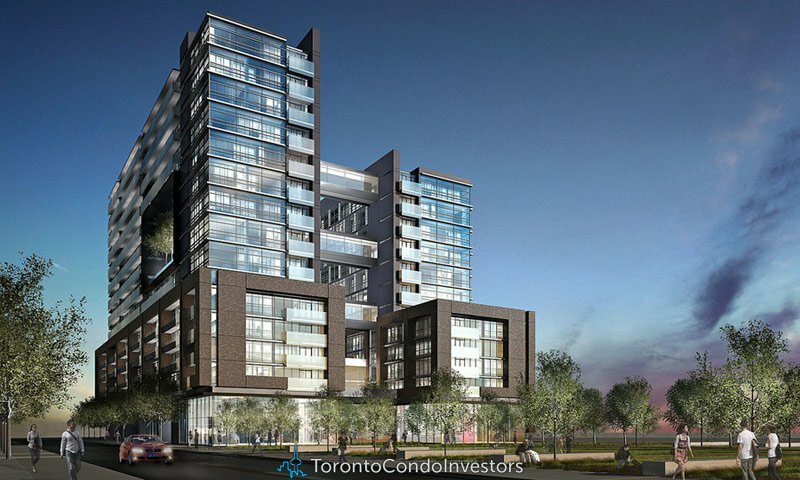 The pre-sales Toronto condos are featured at the sales centre located at the corner of Queen Street West and Abell Street Toronto across from the Drake Hotel. Much like the first two phases of the Triangle Park Queen West Toronto real estate development at EDGE and Westside, the new EPIC condos for sale will have amazing interior finishes that surpass other projects. The kitchens will feature a brand name appliance package including stainless steel range with glass top (self cleaning feature), dishwasher and built in microwave with hood fan exhausted to the exterior of the building. In addition, the appliance set features a stacked washer and dryer in laundry closets as well as a stainless steel or titanium finish fridge/freezer. The kitchens at the new Toronto EPIC Condos for sale on Triangle Park Queen West will also feature halogen track lights, stone counters in a selection of granite and marble, matching designer ceramic backsplash and undermounted stainless steel sink with single lever vegetable pull out spray. There is also contemporary Euro designed cabinets in a selection of textures and colours for homebuyers to choose from. In addition, the bathrooms at the Queen West EPIC on Triangle Park condos will feature a soaker tub, designer mirror over sink with light, temperature controlled mixing valve to tub/shower, stone counters (marble or granite), European design cabinetry, ceiling exhaust fan and designer ceramic tiling as per floorplan. All pre-sale Toronto Epic condos will have pre-wiring for cable TV and telephone and individual suite smoke detectors. Some of the more general features of the new West Queen West Toronto condos for sale at EPIC Triangle Park includes window coverings, light fixtures at the entrance and bathroom, electrical service panels per suite, pre-wiring for internet and HDTV cable, heating and cooling as well as privacy viewer for the front door. The new EPIC Toronto condos also have sliding door systems as per plan to separate rooms in addition to glazed aluminum door to access balcony, patio or terrace and thermal glazed windows as per floor plan. Please note that the floors and specific finishes will depend on the Vendor’s package as selected and materials, dimensions and specifications can change without notice.